What constitutes negligent medical treatment? A blog setting out the present law in relation to medical negligence and considering whether changes suggested by the Medical Innovation Bill are necessary. There continues to be a lot of media interest and reporting on the Medical Innovation Bill, which has recently had a second reading in the House of Lords. As I set out in my previous blog, the reasoning behind the Bill is stated to be that essentially the fear of litigation and allegations of medical negligence may be deterring doctors from developing and carrying out new and innovative medical treatment which may save lives. So what is the present law on medical negligence and is it preventing innovative medical treatment? In general terms healthcare professionals owe a duty of care to their patients to exercise reasonable care and skill. When considering if medical treatment was acceptable, the standard is therefore judged against treatment that would have been provided by similar healthcare professionals in the relevant field at the relevant time. If a doctor can show that a responsible body of their peers would have provided the same treatment, or alternatively omitted to provide treatment, then they will be able to defend an allegation of medical negligence. This remains the law today, over 50 years later, and is frequently referred to as “the Bolam test” in medical negligence cases. The position was further expanded in 1997 with the case of Bolitho v City and Hackney Health Authority. The House of Lords added that the support for a particular treatment by a responsible body of medical opinion must withstand logical analysis, i.e. they need to be able to justify why particular treatment was acceptable in the circumstances. The law allows for there to be a variation in treatment options and for healthcare professionals to use their clinical judgment in a situation. As long as the treatment ultimately provided would be supported by their peers as reasonable then it will not be deemed to be negligent medical treatment. The Medical Innovation Bill is stated to be a Bill to make provision about innovation in medical treatment, but actually seems to relate to all medical treatment, not just innovative treatment. It proposes that it will not be negligent for a doctor to decide to depart from the existing range of accepted treatments for a condition if the decision is taken in accordance with a process that is accountable, transparent and allows full consideration of all relevant matters. • Consideration of matters reasonably necessary to reach a clinical judgment, this includes an assessment of risks and consequences. 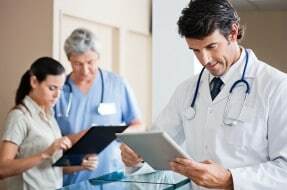 One key difference seems to be that a doctor would not require the support of their peers to undertake a particular treatment, and the only requirement is to have consulted colleagues. If this Bill becomes law then it will lead to a change in the present law and put patients, particularly the most vulnerable patients, at greater risk. There have been a huge number of responses to the consultation on this Bill from leading organisations including the regulatory bodies and defence organisations of medical professionals. In summary the responses state that there is no evidence that fear of litigation is preventing innovative treatment and many examples are given of the innovative treatment that is taking place. The Bill therefore seems unnecessary for its stated purpose. Logically it seems to me highly unlikely that any “innovative” treatment which is not supported by other healthcare professionals is likely to be in the best interests of a patient. The present law is well balanced for patients and healthcare professionals and, in my view, the changes the present Bill would lead to should be opposed. Please contact me or one of my colleagues for further advice if you have concerns as to medical treatment you have received.